Ever at the ready, this faithful companion is ready to help keep your "paws" in tip-top shape. 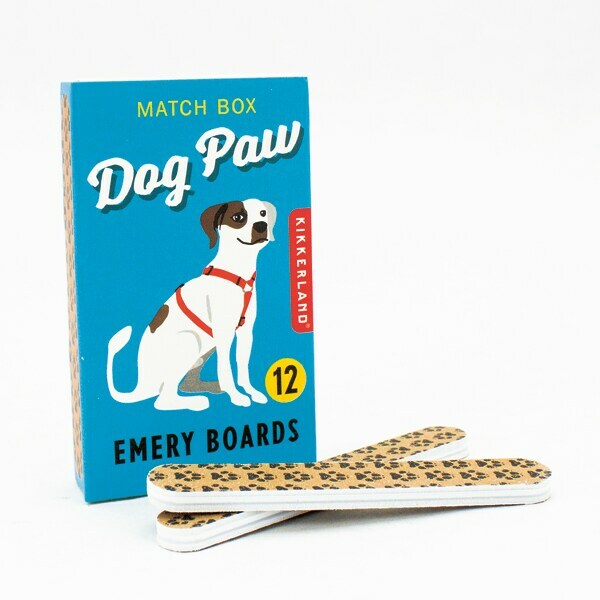 These tiny, go-anywhere emery boards are imprinted with a distinctive dog-paw pattern and come in a handsome matchbox, making them perfect for purses, makeup kits, baby's nails, or as stocking stuffers. The petite boards are just 2½ inches long (though double-thick for strength).